Parents who love that their kids love music. The Boerne Charger Orchestra Parent Organization (BCOPO) is dedicated to seeing all of our youth realize their dreams of playing instruments and establish a life-long love of music. We seek to focus the community to support not only the important life lessons from Orchestra participation, but also, the pure enjoyment of live performance music. Roles and responsibilities are defined in the BCOPO Constitution and Bylaws located below and under the Governance page. 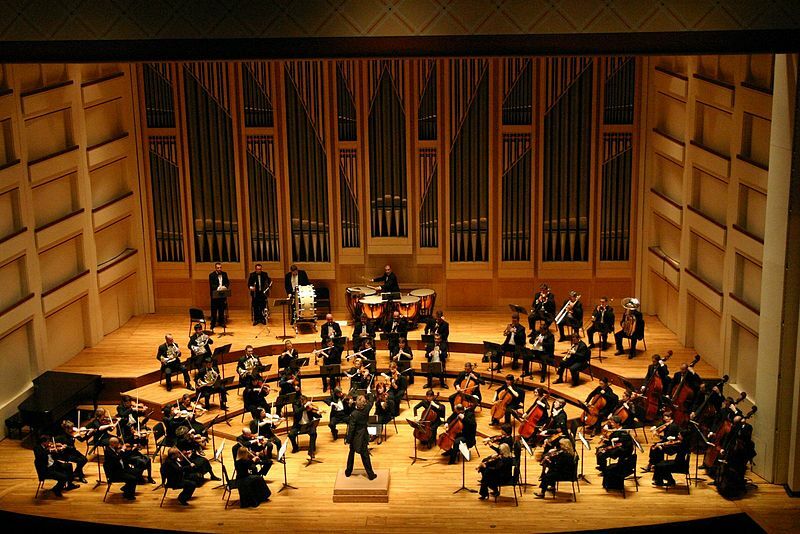 Make the Orchestra sound its best with your time, talent, and effort. Our volunteer coordinators will send out Sign-Up Genius emails throughout the year with opportunities to help with events like our concert series, our competitions, and Boerne Performing Arts events. Click here for a copy of the BISD Criminal Background Check form if you will be working with the students. Print out, fill out the form and send with your student to turn in at school. Help us harmonize our efforts to maximize our available resources. Our general meetings, which anyone is welcome to attend, are on the 2nd Tuesday of each month from 7:00 - 8:00 p.m., usually at Champion High School or Boerne Middle School South. Please check the calendar for information about upcoming meetings. Meetings are conducted according to parliamentary procedure, as outlined in Robert's Rules of Order.